A bubble study is a noninvasive test that allows physicians to assess the flow of blood through the heart. It is typically used in conjunction with an echocardiogram (in which case doctors often call it “contrast echocardiography”) or a transcranial Doppler study (TCD). A bubble study is often performed when a patent foramen ovale (PFO) is suspected. A bubble study takes advantage of the fact that when sound waves encounter different types of physical media — in this case gas vs. liquid — they bounce around more, and create more “echo waves.” These echo waves show up on an echocardiogram as increased density. In a typical bubble study, a saline solution is shaken vigorously to produce tiny bubbles and is then injected into a vein. As the bubbles travel through the vein and into the right side of the heart, the increased density they produce on the echocardiography image allows the physician to actually watch the bubbles move through the cardiac chambers. If the heart is functioning normally, the bubbles will be seen entering the right atrium, then the right ventricle, then out the pulmonary artery and into the lungs, where they are filtered out of the circulation. However, if the bubbles are seen to enter the left side of the heart, this indicates that there is an abnormal opening between the two sides of the heart—a so-called intracardiac shunt. This type of an intracardiac shunt can be produced, for instance, by a PFO, an atrial septal defect, or a ventricular septal defect. Currently, commercial forms of “bubbles” are available to be used during bubble studies. These new agents usually are comprised of tiny protein or phospholipid casings which enclose a gas. These new agents appear to be safe and can provide better echo imaging in some cases. However, they are substantially more expensive than a shaken saline solution. The most common reason for performing a bubble study is to look for a PFO. In these studies, while the bubbles are being injected into the vein, the patient is asked to perform a valsalva maneuver (that is, bearing down as if having a bowel movement). The valsalva maneuver transiently raises the pressures in the right side of the heart, so that if a PFO is present, the bubbles can often be seen entering the left atrium. Bubbles appearing in the left atrium during the test confirm the presence of a PFO. The main reason doctors worry about PFOs is the possibility that they might allow blood clots to cross into the left side if the heart, where they might enter the circulation of the brain and produce an embolic stroke. Fortunately, while PFOs are quite common (occurring in up to 25% of adults), they lead to stroke only rarely. So, while a positive bubble study might confirm the presence of a PFO, it does not tell the doctor very much about the likelihood of stroke. Most experts think that a better way to assess whether a PFO is likely to produce a stroke is to perform a transcranial Doppler study in conjunction with a bubble study. In a TCD study, echo techniques are used to visualize bubbles traveling through the blood vessels of the brain. The TCD study can detect whether the bubbles injected into a vein are actually entering the brain circulation. If so, the PFO appears to be more likely to increase the risk of stroke, and the doctor will be more likely to recommend anticoagulation therapy, or if a stroke has already occurred, possibly surgical closure of the PFO. Mulvagh SL, Rakowski H, Vannan MA, et al. 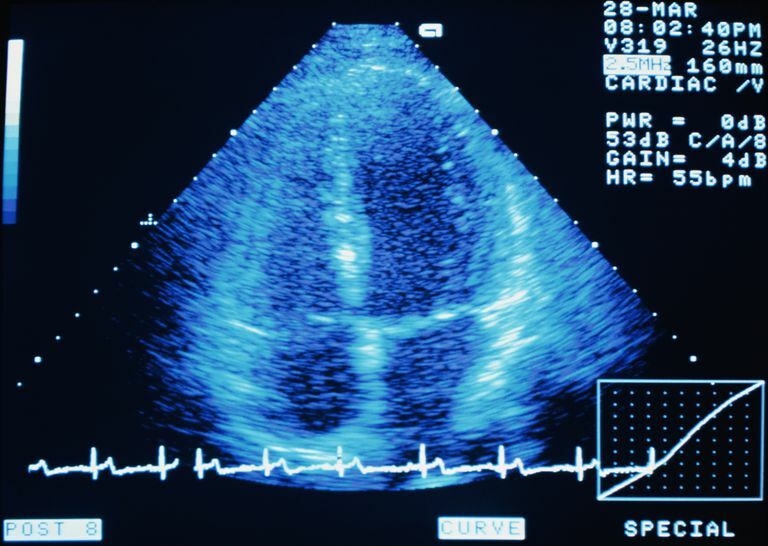 American Society of Echocardiography Consensus Statement on the Clinical Applications of Ultrasonic Contrast Agents in Echocardiography. J Am Soc Echocardiogr 2008; 21:1179. Romero JR, Frey JL, Schwamm LH, et al. Cerebral Ischemic Events Associated With ‘Bubble Study' for Identification of Right to Left Shunts. Stroke 2009; 40:2343. Parker JM, Weller MW, Feinstein LM, et al. Safety of Ultrasound Contrast Agents in Patients With Known or Suspected Cardiac Shunts. Am J Cardiol 2013; 112:1039.